Everyone else is doing it, so I thought I'd join the party. 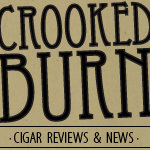 The cigar I smoked for today's review has been featured throughout the cigar blogosphere a lot this past month. Most of us (I am assuming) got the same 4-pack sampler (2 of this stick, 2 of the EP Carrillo Elencos) from Ernie Carrillo and quickly unwrapped them with excitement. At first glance, I was more interested in the Elencos included in the pack, but after hearing all the praise on Twitter about the Conny, I thought I'd take this stick to task first. 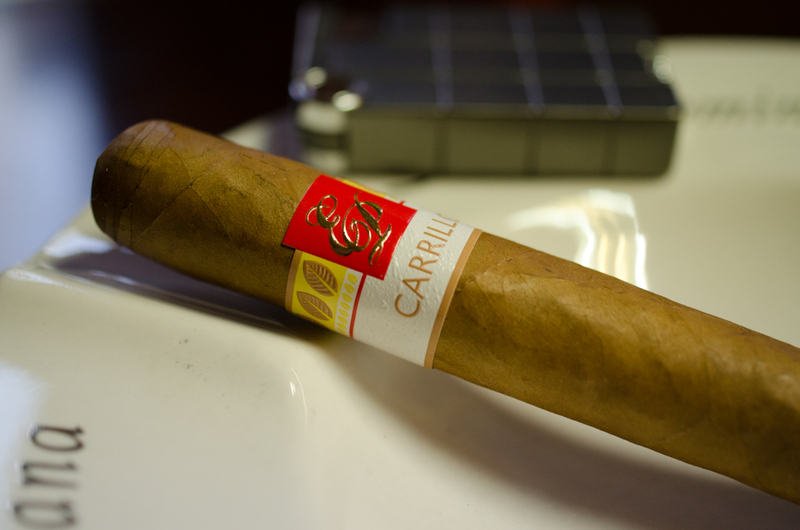 The EP Carrillo Short Run was in my Top Three new cigars of last year. Let's see if I think the (albeit just a few days) of hype surrounding this stick is warranted. My sample of the E.P.C. New Wave Connecticut had a very light wrapper (expected with all Connecticuts) with medium-sized veins. To the touch, the wrapper felt very dry, but not brittle by any means. Squeezing the stick I could tell it was nicely packed and had a bit of a bounce back from the pressure applied. The pre-lit aroma was very strong and smelled of sweetness and hazelnuts. The cap clipped easily and the cold draw also had a strong flavor of hazelnut, mixed with some notes of raisin. When I first lit my E.P.C. Conny, I immediately got a tingly zingy feeling on the top of my tongue. What shocked me was this was a very similar feeling that I experience when smoking Cuban cigars. Interesting to say the least. The flavor profile was nice also, consisting of a sweet mild spice mixed with nutty flavors on the front and finished off with a raw honey taste that lasted well over a minute between draws. The flavors were strong, which I don't normally think of when it comes to Connecticut wrapper cigars. The draw/burn was perfect and the body was in the mild to lower-medium range. The second third of my E.P.C. Conny was similar in flavor to the first third at the start, but changed right at about the halfway point of the stick. I still got a lot of hazelnut and sweet spice on the front, but the finish flavors became very woody and thick -- not a cedar flavor, but more a flavor of cut raw wood. Think of walking down the lumber section at a hardware store; that smell was similar to this taste. I found it to be enjoyable, even if it doesn't sound as good as the raw honey from the first third. It added a nice bit of complexity to the smoke, which is always a plus. The draw and burn were still excellent and the smoke volume seemed to pick up when I got past the halfway point. The body did not change; it stayed right in the mild to lower medium range. Not much new to report on in the final third of my E.P.C. Conny. The flavors kept coming with the sweet spice, hazelnuts, and wood tastes. The one thing that might have changed a little was the smoke volume. As I got closer to the nub of the cigar, the stick was really drawing huge clouds of smoke. This is a stick that you are going to want to smoke outside or in a well-ventilated room. 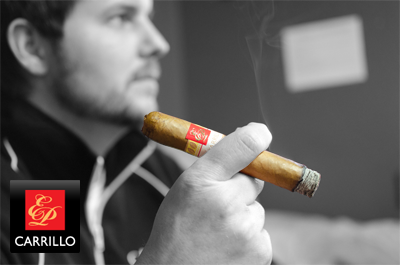 The body stayed consistently mild and made for a really easy cigar to smoke -- one that is full of flavors and not lacking in entertainment. My final thoughts on the E.P. 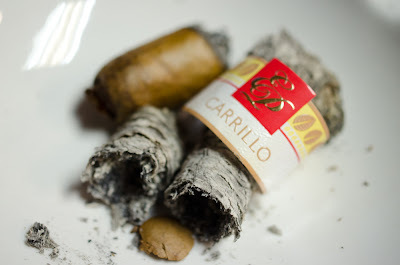 Carrillo New Wave Connecticut? 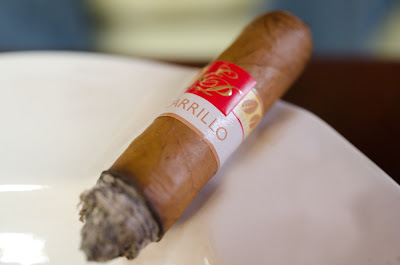 This cigar really shows what a Connecticut wrapper cigar can be with a solid blend filling it. 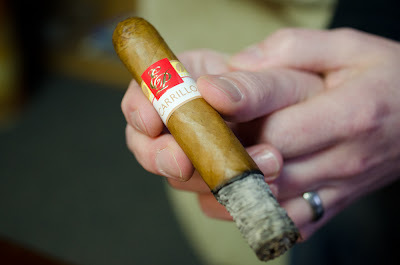 I admit, I don't smoke a lot of Connecticuts because I tend to like a spicier cigar, but this one is a winner in my book. EPC keeps putting out quality cigars and this is another one to add to the list. Would I buy it again? I will definitely be picking up more of these. Would I buy a box? These are a great price and I would buy a box to share with my friends who like lighter cigars. Cool review you have here! I would love to try this one. I am really impressed with you.